Research Associate Danielle Cave wrote a piece for Inside Story on how Australia's Department of Foreign Affairs, starved of funds, has spread itself too thinly since the launch of Australia's bid for a seat on the UN Security Council. Defenders of Australia’s bid for a UN Security Council seat have come out in force this month. Analysts, academics and current and former foreign ministers have talked of the virtues of having a seat on the council and how Australia can contribute to its work. The federal government has worked hard to carve out and communicate Australia’s place in the world and make clear what the government thinks we can bring to the council in the areas of aid and peacekeeping. We have been reminded  of the importance of the council as a “tool of foreign policy.” We have been rallied  by former prime minister Kevin Rudd, who kicked off Australia’s late run for a seat, to “support the nation” in the final stages of this bid. This week, prime minister Julia Gillard fought off an ill-timed stomach bug to tell Australia’s story at the United Nations. Her speech  to the General Assembly championed Australia’s work in regional peacekeeping and as a donor by focusing on a recent Pacific gender initiative . She also made several references to the work of the Security Council and touched on current international foreign policy conversations. Of course, it does make sense for countries to strive to join the UN’s “steering committee” once in a while. The executive director of the Lowy Institute, Michael Fullilove, who is incidentally my boss, summed it up well on the Council on Foreign Relations website this week when he said the truth is that the United Nations is both flawed and indispensable. But what’s missing in Australia’s sluggish international policy debate is the question of why a seat on the Security Council is important to Australia. The focus has been on what we can offer to the council rather than why, when our foreign affairs department has so few resources, we have concentrated on this bid at the expense of other international policy priorities. Was our Security Council bid too little, too late ? And with multilateralism suffering setback after setback, was the bid really a smart strategic decision in an environment that favours bilateral and regional solutions to international problems? There is a considerable opportunity cost in taking on something as resource intensive as Australia’s ultra-tardy bid for a seat. (We got started seven years after rival Luxembourg.) Relations with the Pacific Islands, for example, must always be at the core of Australian foreign policy. We share a unique set of economic, security, development and diplomatic ties that are not replicated to the same extent in any other international relationship. But, as I have argued  previously, Australia’s relations with the Pacific have suffered  over these past few years – and this is just one way in which the UN bid has contributed to a distracted, confused and increasingly distorted Australian foreign policy. This region is home to our largest trading partners and to countries in which we have both security and development responsibilities. 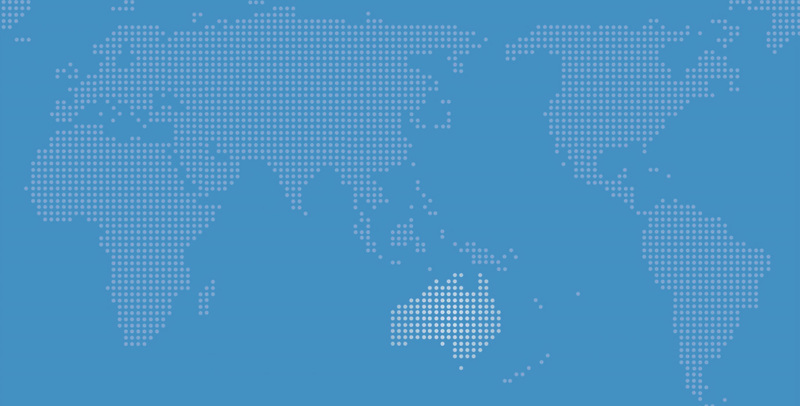 It also contains international groupings – APEC, for example – in which Australia has gained influence and is seen as an increasingly important player. China analysts and the bulk of the private sector may also be wondering why, over the past two years, our foreign ministers have visited Ethiopia, Egypt, France, Israel, United Arab Emirates, Italy, Germany, Saudi Arabia, Ethiopia and Switzerland as many times or more than they have China. Why have they spent portions of 2011–12 in Lithuania, El Salvador, Hungary, Saint Kitts & Nevis, Oman, Malta and Liechtenstein when our high-level engagement with top partners, China, India, Indonesia and Papua New Guinea, is already so lacking? Flicking through the flight paths of our parliamentary secretary for foreign affairs is even more alarming – it’s jammed full of visits to countries inconsequential to Australian foreign, trade, security and aid policy but important for Australia’s Security Council bid. Australia entered its UN Security Council bid on the assumption that multilateralism will continue  to be an effective tool of international policy. But multilateralism has not served  Australia well of late, and we need to face the prospect that, as a tool of foreign policy, it doesn’t offer Australia the value it once did. The former foreign minister Gareth Evans is right : Australia has a formidable story to tell. We are a creative middle power , an aspiring aid superpower  and a country that is waking up to its strategic international influence. Yet we are also deeply confused about our place in the world. Our foreign policy architecture continues to spread across a range of government departments and is no longer centred on diplomacy. Along with our government, Australia’s private sector and range of research institutes are reaching out to Asia and trying to examine Australia’s role in the Asian Century . Yet our foreign minister is boosting multilateralism  and our foreign affairs department frantically devotes itself to beating Luxembourg to gain the Security Council seat. This confusion may well be resolved soon, with the Australia in the Asian Century  white paper set to launch around the same time that Australia discovers whether it has been successful in securing a seat at the table in UN headquarters in New York. One is important to a range of government, private sector and civil society actors and will spark a debate about Australia’s place in the world; the other holds diminishing value in a world where the limits of multilateralism become starker year by year. I will be joining those supporting Australia’s bid for a Security Council seat and crossing my fingers for an Australian win next month. Despite the arguments against it, the decision to try for the seat has been made, dollars have been spent, and our foreign affairs department needs this boost after years of purged budgets. If Australia wins, the Department of Foreign Affairs will no doubt grasp the opportunity and serve Australia proudly. But win  or lose , the opportunity cost of this bid has been enormous. Danielle Cave is a Research Associate in The Myer Foundation Melanesia Program at the Lowy Institute for International Policy. This article is an expanded version of a blog post first published by the Lowy Interpreter .